The dandelion, which grows in abundance on front lawns everywhere, doubles as a medicine that has been shown in studies to kill cancer cells. In this article, you will discover the science behind the dandelion’s potent anti-cancer effects, and learn about a man who cured himself of cancer using dandelion tea. Although turf lawns are superbly wasteful and unsustainable, those who are passionate about lawncare often look at the dandelion (Taraxacum Officinale) as a nutrient-stealing, bright yellow nuisances, which prevent them from growing a uniformly green front lawn. It is the dandelion’s ability to accumulate nutrients that makes them both troublesome for those brainwashed by the lawncare industry to pursue a “picture-perfect” lawn, and a potent healing medicine. Dandelion greens are rich in potassium, and make a great base for salads. Dandelion can also be used to thicken soups, flavor wine, as a tincture in tea, and some even roast it and use it as a coffee substitute. From the root to all of the above-ground parts of a dandelion, the entire plant can be used to make medicine. How Does Dandelion Kill Cancer Cells? Dandelion a traditional medicine that has been in use by many cultures around the world, like the Native American Iroquois, Ojibwe, and Rappahannock, who used it to treat kidney disease, upset stomach, and heartburn, or by Arab people as a treatment for liver and spleen-related illnesses. The Chinese have regarded it as a detoxifying herb that can be used to boost the immune system, and for a number of serious conditions including uterine, breast, and lung tumors. In Europe, dandelion is said to have been used medicinally to treat fever, boils, eye problems, diabetes, and diarrhea. Dr. Siyaram Pandy of the University of Windsor is known for his pioneering research into dandelion root extract as a treatment for cancer. In his study, Pandy investigated the treatment of skin cancer using a potent dandelion root extract, and discovered that dandelion root extract targets the site of cellular respiration, also known as the mitochondria, generating free radicals which damage the cell. 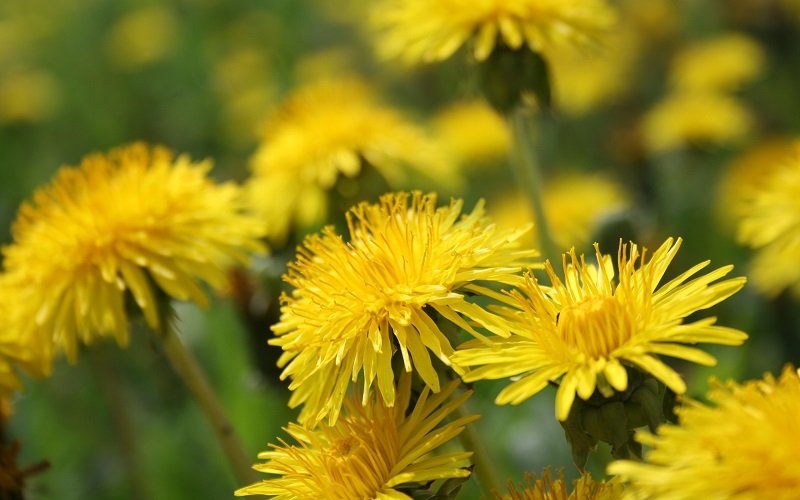 Although the specific compounds in the extract that were responsible for this effect have yet to be determined, what the study showed for certain was that the dandelion root extract used performed as a “natural chemotherapeutic agent”, as the study authors have put it. A study in 2000 found that the extracts of Chinese dandelion root stopped the growth of rat melanoma cancer cells. Apoptosis, or cell suicide, is how our bodies eliminate damaged or diseased cells. This process occurs regularly in the human body, but as Dr. Pandey claims, cancer cells override this process and become resistant to cell death. His research is an investigation into how dandelion tea root extract ‘reminds’ the cancer cells to commit suicide, without harming any healthy cells in the process. Many natural medicines, including dandelion and other ones present in the EndAllDisease collection of Cancer Cures, can be used to assist in inducing apoptosis in diseased, or cancerous cells. Although they are very rare, side effects are said to come in the form of mild gastrointestinal upset, contact dermatitis, or diarrhea. Dr. Caroline Hamm, an Oncologist at the Windsor Regional Hospital, had an elderly patient who was diagnosed with a highly-aggressive and resistant form of leukemia called myelomonocytic leukemia. After several rounds of chemotherapy with no improvement in health, this patient began consuming dandelion tea as an alternative form of therapy. She also shared the tea with another patient in the waiting room. 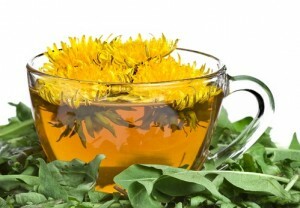 The Oncologist was surprised to see improvements in test results of both patients who had been consuming the dandelion tea. Following this news, both patients refused any further treatments with chemotherapy, which was a smart move considering chemotherapy is ineffective 97% of the time and has been shown in studies to increase the growth and spread of cancer. Dr. Hamm proceeded to contact Dr. Siyaram Pandey of the University of Windsor with the story of these cancer patients… and this is how Dr. Pandy’s research into dandelion root extract and cancer began. Whether the above patients were cured of their cancer is uncertain at this time (although if you’re reading this I am going to phone the oncologist to find out within the next week so I can update this article – 12/19/14), but for another cancer patient, dandelion tea sent his cancer into complete remission and he found himself suddenly cured and disease-free at age 72. John DiCarlo was diagnosed with leukemia and admitted to hospital in 2009. With a wife and four children at home, DiCarlo was given aggressive chemotherapy treatment, which didn’t work. The cancer clinic recommended that DiCarlo try dandelion tea for his cancer, and he complied. John returned to the cancer clinic 4 months later in remission, and has been cancer free for 3 years. 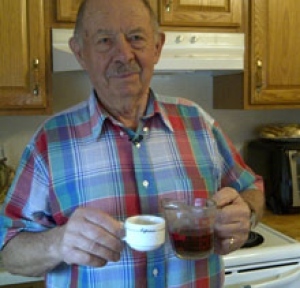 John said his doctor gives credit to the dandelion tea for beating cancer. “He said, ‘You are doing pretty good, you aren’t a sick man anymore’,” explained DiCarlo. Among a wide variety of natural plant substances that have been shown in scientific studies to kill cancer cells, the dandelion remains a potent traditional medicine, for cancer and other illnesses, that is both safe and effective.